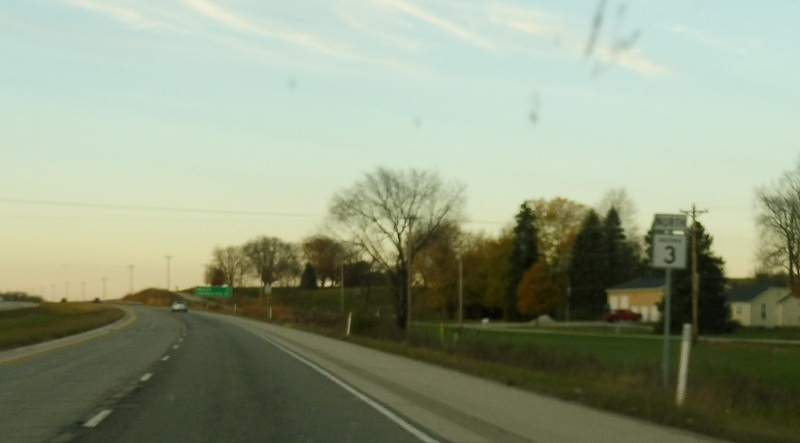 Reassurance shield after the US-36 junction. 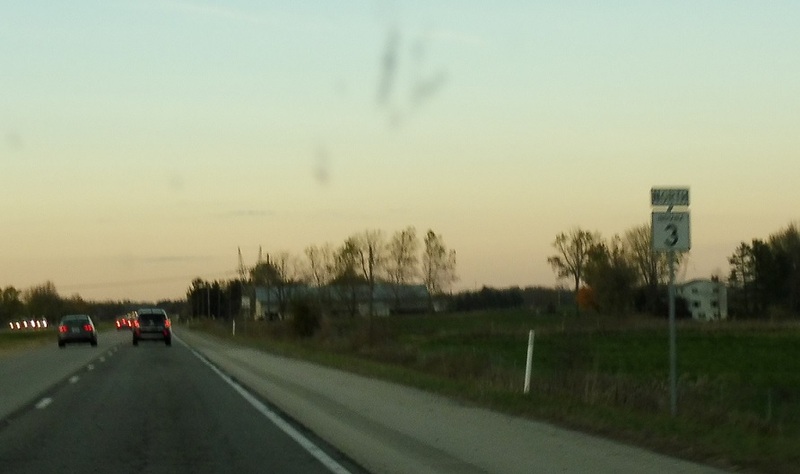 Reassurance shield after 700 Rd as we enter Delaware County. 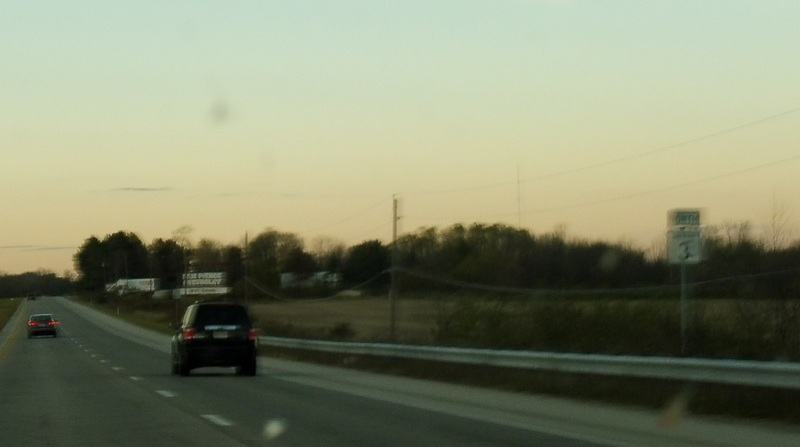 In a mile, we’ll approach SR 67. 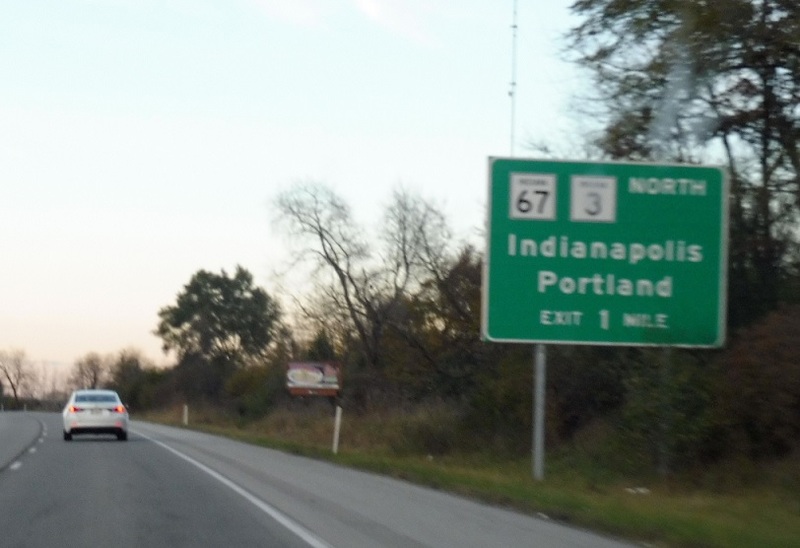 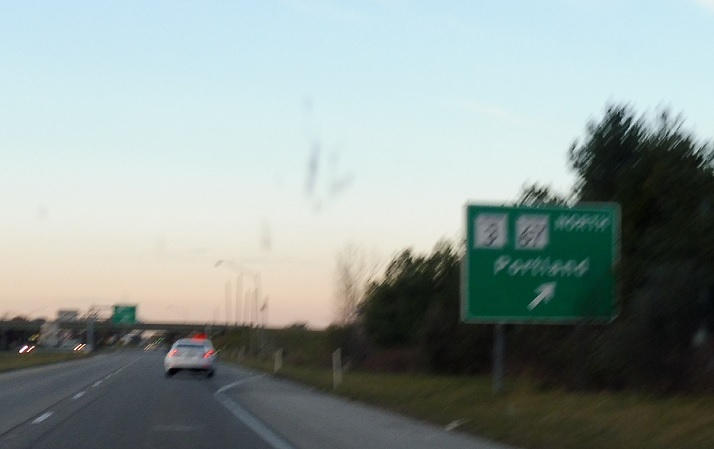 Exit for 3/67 north, which run concurrent around the east side of Muncie towards Portland. 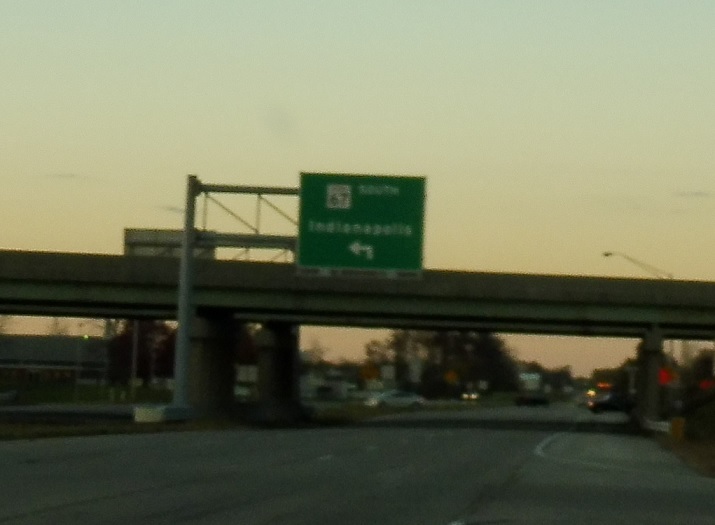 Turn left for 67 west to Indianapolis.